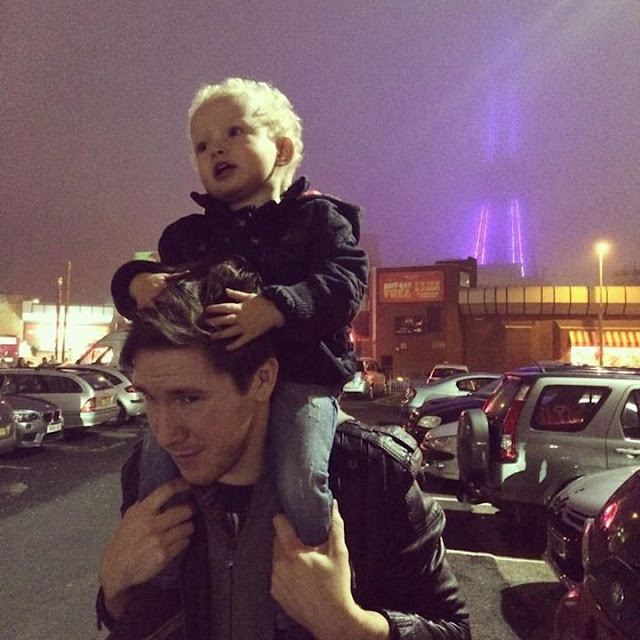 On Sunday we took Noah to his favourite place in the whole world, Blackpool! He literally asks to go to Blackpool every day and if he spots anything that resembles the tower he shouts "BLACKPOOOOOOL!" We took him to the arcades, on the rides, had tea out at Coral Island again and even won him a Peppa Pig toy on the grabbers! Such a great day! 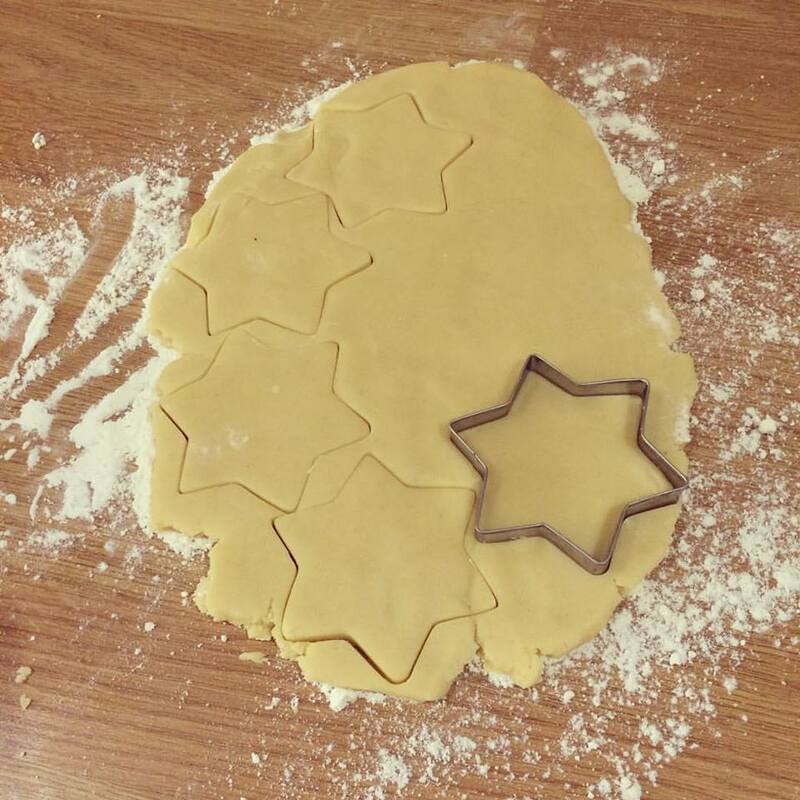 Monday we had a bake day making bread and shortbread stars, a pretty lazy and easy going day! 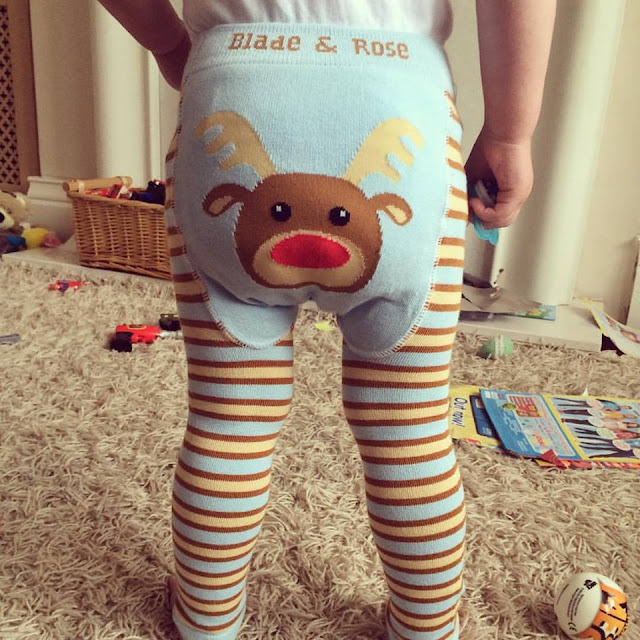 Tuesday is dedicated to these gorgeous Reindeer leggings from Blade & Rose! On Wednesday my Mum came over to visit and we had lunch and then made out way into town. 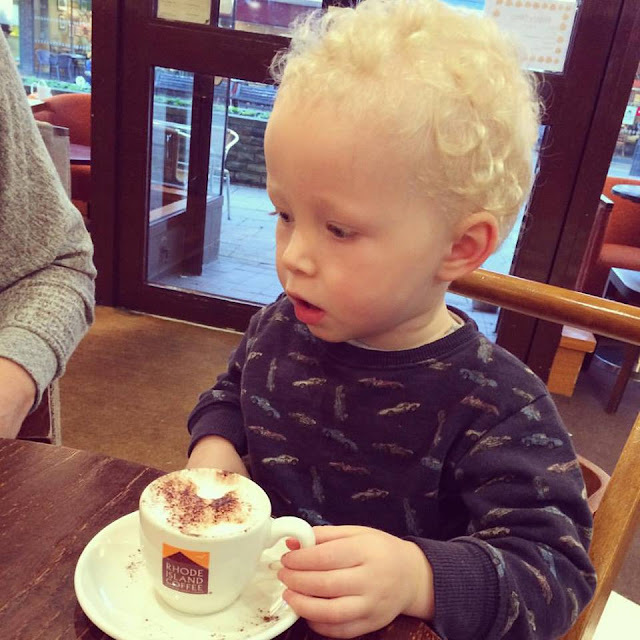 We went shopping and had a pit stop at Rhode Island where Noah had his first Babychino! It was such a lovely day and I can't wait to do it again soon. Bonfire night! Last year we took Noah to a bonfire and firework display and it was a disaster as it was so hectic. 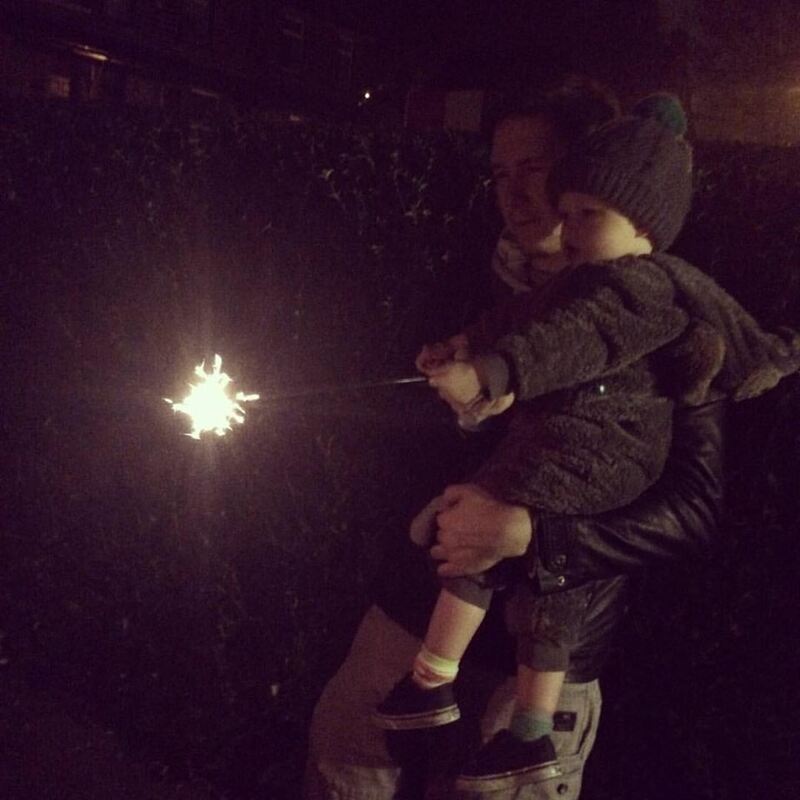 This year we decided to watch the fireworks from our garden and light a couple of sparklers, so much better! Friday was a funny old day, we didn't get up to much bar a bit of shopping. Come night time the fireworks were still going off so Noah couldn't sleep and was a little frightened. 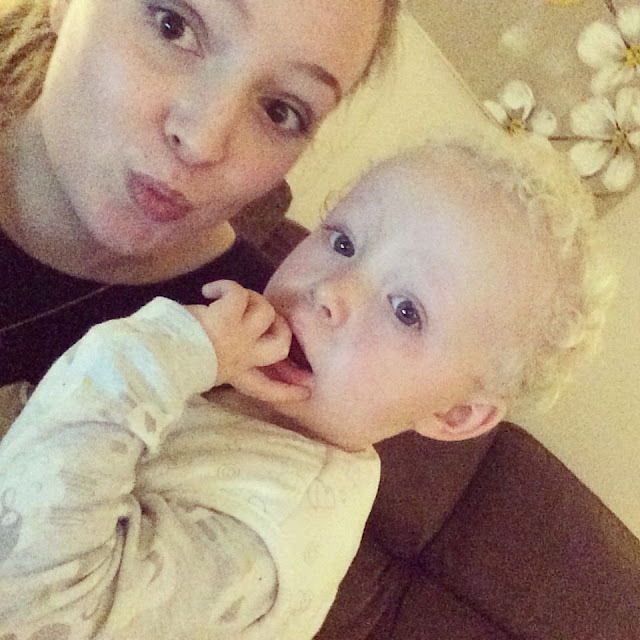 He came downstairs with Mummy and Daddy for a while and he learnt how to do an impression of a firework! 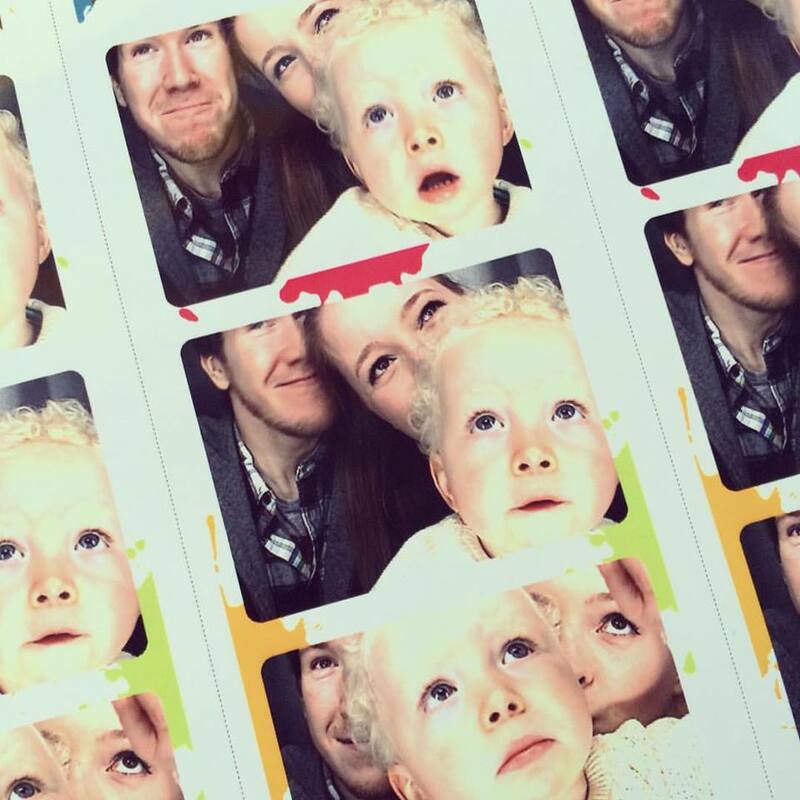 The weather was awful today so we decided that our weekly family day out needed to be indoors. We decided to drive over to Yorkshire to spend a couple of hours at Eureka. Noah loves it there, especially the little shop, garage and kitchen. We took a photo booth photo while we were there and I was hysterically laughing because we couldn't fit our big heads in the frame, sums up our day to a tee!